Wait--Didn't we just hear that China was rolling over? Remember how every light at the end of the tunnel was supposedly a coming train? Or that every green shoot was brown? 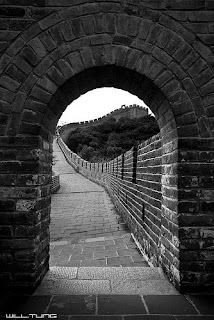 How about the Great Wall of China? Last I looked, those with the bearish screeds, don't have much influence in China!